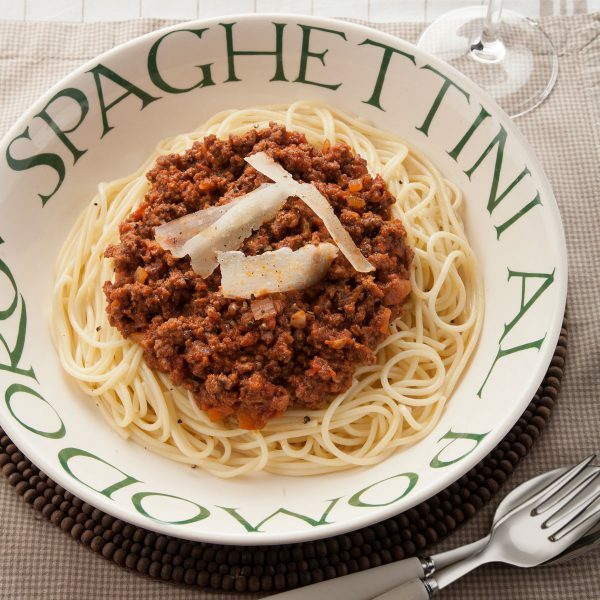 Bolognese sauce - home cooked food delivered. Nothing beats a good “spag bol” for simplicity and flavour, but supermarket sauces will always disappoint. Our very own Bolognese recipe, using steak mince, red wine, assorted herbs and more, makes a genuinely scrumptious freezer filler for when time is against you: simply add your favourite pasta. Steak mince, smoked bacon, carrots, celery, olive oil, garlic, onions, basil, bay leaf, oregano, red wine, seasoning and tomatoes.